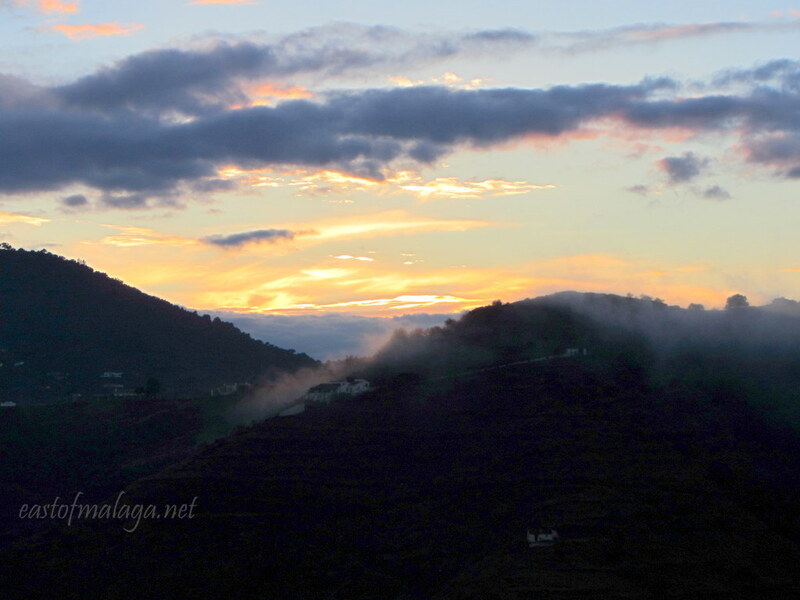 One of the things I love most about living in southern Spain are the mountains. They always make the views spectacular, both morning and evening, as the sunlight falls across the ridges of the nearby foothills, but never more so than when it rains. 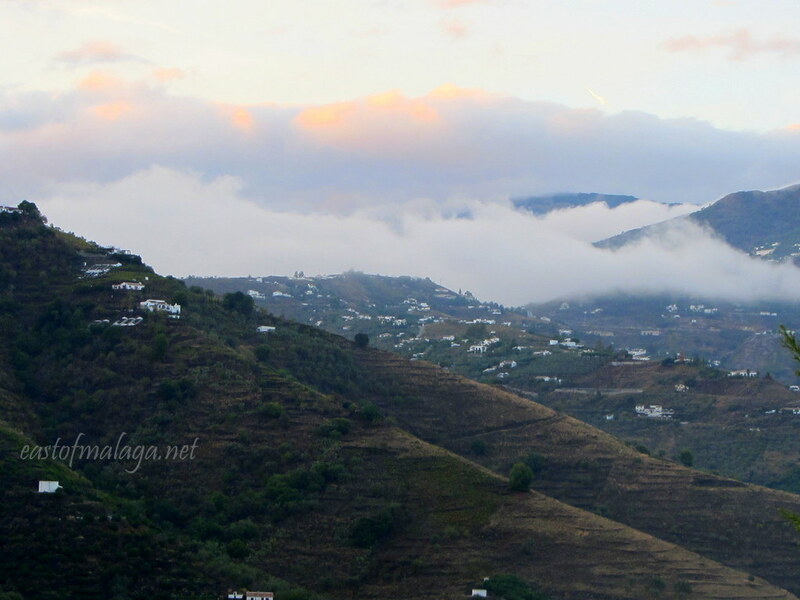 It´s always a delight to watch the clouds surging up the valley from the Mediterranean Sea between the ridges – almost making it look more like smoke than clouds. The past few days have been cloudy and raining, so in between the heavy showers, I have tried to pop outside to capture the raindrops on the flowers and trees, as well as the rapidly changing cloud patterns. They are so pretty. Isn´t nature wonderful? 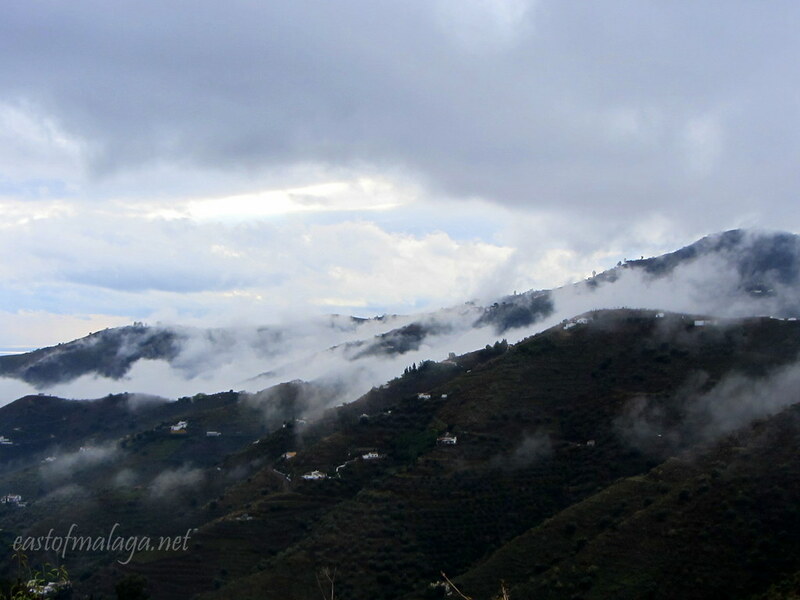 This entry was tagged Andalucía, autumn, autumn rains, East of Malaga, Europe, life, lifestyle, Malaga, photography, Spain, weather. Bookmark the permalink. The way the clouds hug the mountain makes the rainy grey days (not that we get many of them) worthwhile, because of the ever changing scene all around. 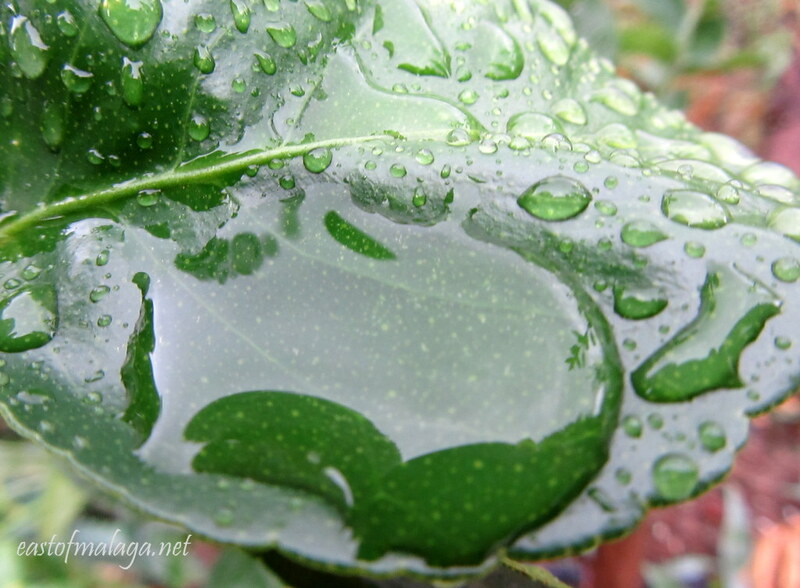 It´s also fun to try to capture the raindrops on the plants and trees. Fabulous photos, Marianne. Where exactly are you? My sister-in-law is just south of Granada in the Lecrin Valley and I’ve spent a lot of time hanging out with her there. Are you near Nerja? 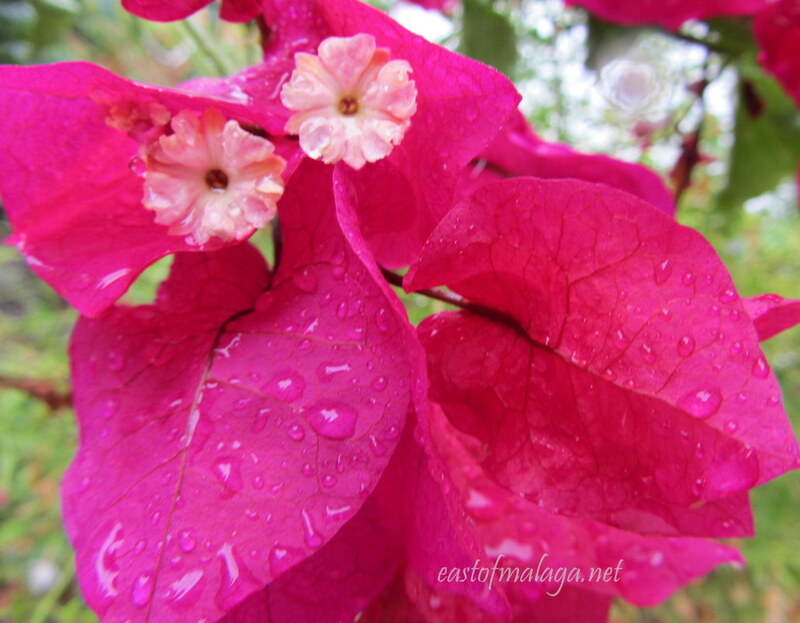 I´m a little nearer to Málaga than Nerja. Further west along the coast to Torrox Costa, and then inland a few kilometres. Absolutely fantastic photos. Just sheer beauty all around. It´s true – a lovely place to live 🙂 I am truly blessed. Wow, Marianne! These shots are stunning. As we approached the Costa del Sol, a storm front was passing through. I saw those clouds seemingly hanging onto the mountainside. So beautiful to see and you’ve captured it perfectly here. Well done! Such beauty in your photos ? What kind of camera do you use please? I am shopping- Thank YOU! Marianne, the photographs of the mountains are so moody. I love them! And the picture of the rain on the bright green leaf really stands out. What I love most about your blog is the way you capture the beauty of small things. …and the fluid weather situation changes so rapidly – it´s truly wonderful. Wow, what beautiful scenery! Also, do you know what those amazing purple flowers are? I think they’re so cool! I’m jealous. 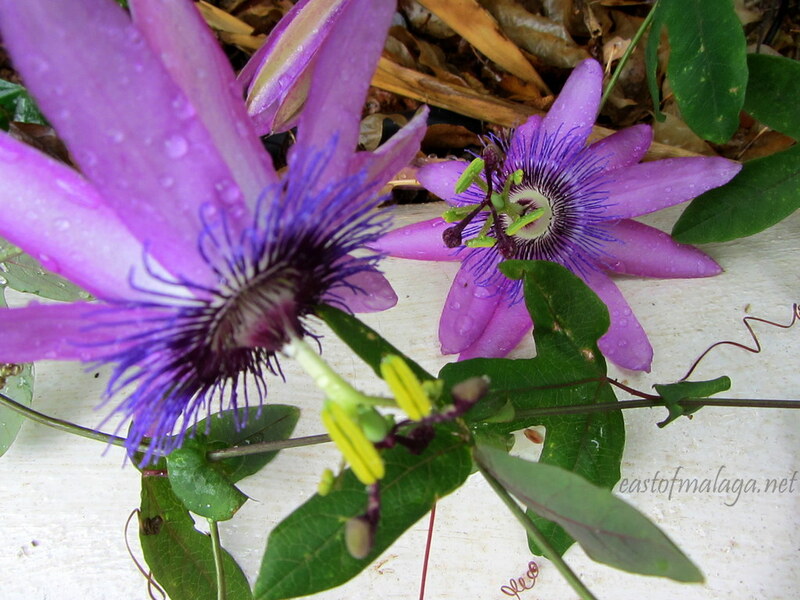 I must have planted my passion flower in the wrong place as it flowered ever so briefly, never to be seen again. Next year, I’ll try again but in a different spot. We have one of the common variety as well, but the purple passion flower is stunning! Beautiful indeed, Marianne! Lovely pictures. I really miss the mountains (and the sunshine) when I make a trip back to the UK. You´re right, Paddy, the Spanish countryside is so diverse. Nature is indeed wonderful, stunning photos!